Well I have been expecting my painting to arrive back at some point as I never imagined for one moment it would make it any further... But I was completely gobsmacked when instead, I received a letter in the post telling me that my painting was one of the final (48) paintings picked, to be hung in a 3 month exhibition! And as if that wasn't enough, I also learned that I had received an award! Out of over 3,000 entries, it's quite some achievement and I have been smiling so much about it that my face actually hurts! 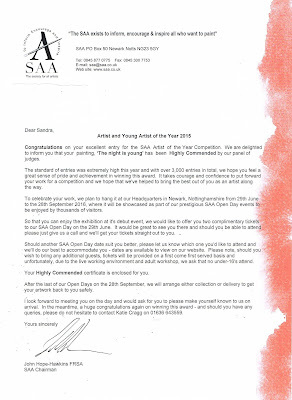 ...I'm so looking forward to going to the open day and seeing all of the other paintings too! 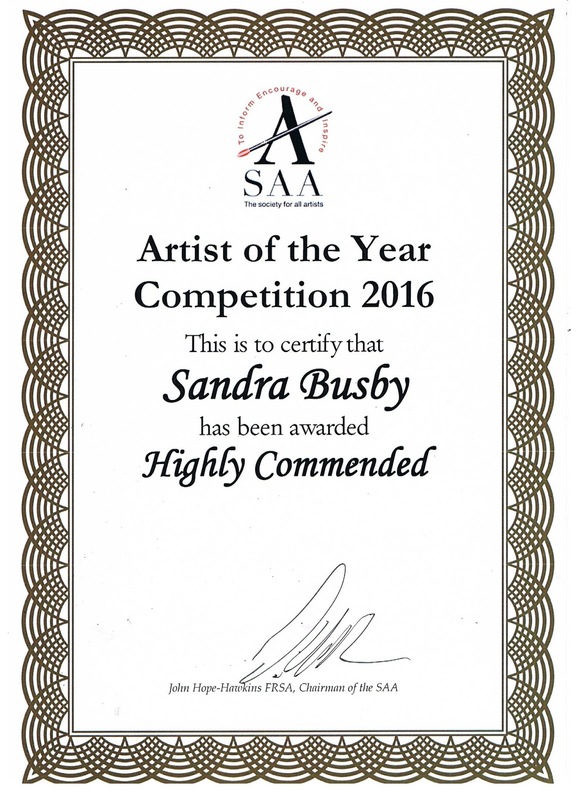 Fantastic news ...many many congratulations Sandra !!! 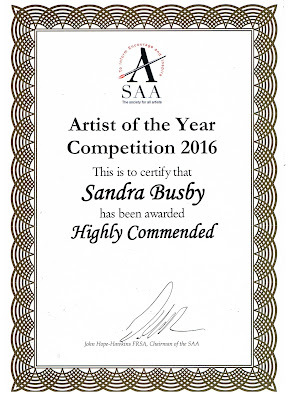 No surprise at all, Sandra - your work is masterful and very imaginative! I am thrilled to pieces for you! Thank you so much Susan! I am genuinely shocked, I have to say! That is fabulous Sandra and well deserved too! Thank you so much for your lovely comment Emma! Happy PPF...? Hmmm.... I had to look that one up! is that, 'Paint Part Friday'? Where have I been, lol! CONGRATULATIONS MY FRIEND!!!! a much deserved award!!! I'm so so so happy for you, your work is incredible!! !